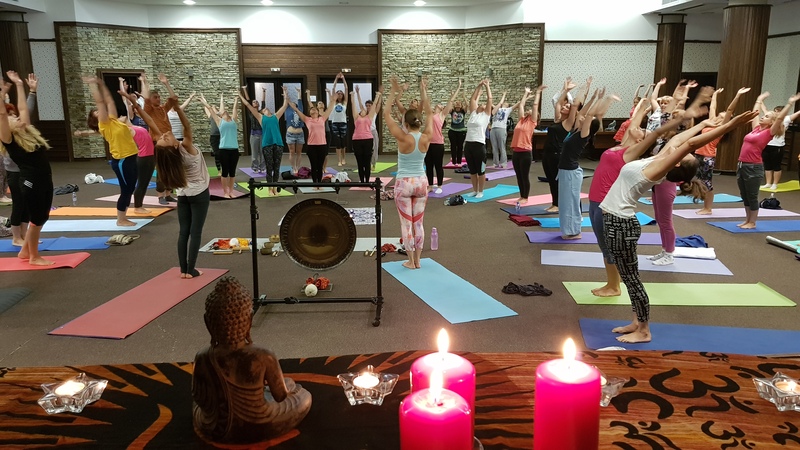 ivko led the Integral Healing Flow, which for most of us was the epitome of the retreat and the practice we’ll always remember. Practicing Integral Healing allows you to connect your inner energy with the forces of the universe around us and channel that energy through your body into positive thoughts and behaviors, thus helping and healing your tribe. You have to experience it to believe it! Follow Ananda Yoga Project on Facebook and don’t miss their next yoga retreat in October. Since the hotel had a scenic outdoor pool and a heated indoor pool with a full spa, hot tubs, dry sauna, steam bath, russian bath, rainshower, and cold plunge, we enjoyed the power of water and rested sore muscles and bruised souls daily. Don’t ever underestimate what a dip, a swim, and a soak can do to your body! Ananda Yoga offers daily classes at their studio in Plovdiv. You can check their schedule hereand perhaps meet me at Vinyasa Yoga which I frequent weekly when in town.